offthegridit is a full service IT Support company located in the Silicon Valley Bay Area and serving businesses since 2013. We specialize in Mac, PC, Linux Networking & Cloud and are BBB Rated A+. We service clients Nationwide, and in some cases Worldwide. We have been servicing clients in California since the .com days. Our expertise is in networking and systems integration. We do service small businesses and homes in the Bay Area. The technician that comes to visit you will be experienced and may have certifications in Apple, Cisco, Microsoft, Checkpoint, and Security technologies. We maintain a strict code of adherence to security and professionalism to protect your privacy and provide you with a pleasant experience. 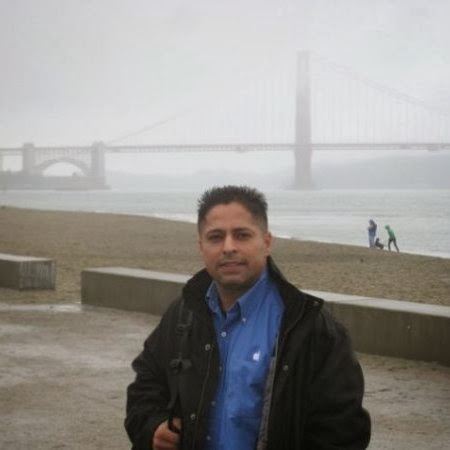 With over 31 years in the IT industry experience Michael Bolanos brings to you a vast amount of technical acumen from a broad range of industries in the Silicon Valley. From Startups to Banks and Enterprises we have gained a valuable resource by having Michael Bolanos as an IT Consultant. While we do not divulge our entire client list, our clients include small and mid sized businesses, police officers, churches, homes, Target, Accountants, Bookkeepers, Architects, Marketing Professionals, Startups, CEOs, Real Estate Professionals, Finance Professionals, Transportation companies, Online Businesses, Construction companies, Quizno’s, Subway, Round Table Pizza, Mountain Mike’s Pizza, Makers, Mechanical Engineers, Creatives, Music Studios, Datacenters, Telcos, MSPs, Retail Stores, Operations Managers, High-Tech startups, Software Developers, and more. We strive to provide a valuable service to our community and remain committed to professionalism and providing you with the best service possible. While we do provide IT Security related consulting services, there are times when you should consider contacting law enforcement first. In addition, we do not offer Offensive Hacking techniques or services. We can assist you with Security Assessments, Defensive Techniques, 3rd party verification, Forensics, Data Recovery, and best practices. For Secure/Private Remote Support on our server, and to avoid using Teamviewer please contact your assigned representative.